Proving negligence is the most important part of the personal injury case. In a premises liability claim, negligence means the property owner was required to keep his or her property in a safe condition and failed to do so. There are several important things you need to do if you have been injured in a slip, trip or fall accident. The most important thing is seeking medical treatment for your injuries. Not only is it crucial to start to get well, but it is also critical to see a doctor so that your injuries can be properly documented. Those medical records will be important pieces of evidence should you decide to seek compensation for your injuries. You also need to report the accident to whoever owns the property. No matter where you are – at a friend’s, a grocery store, movie theater, or public pool, you need to notify the owner, manager or landlord that you had an accident. It is important that you ask that the report is made in writing and get a copy for your own records. If you are able, at the time of the accident, get photographs and collect the names and numbers of potential witnesses. 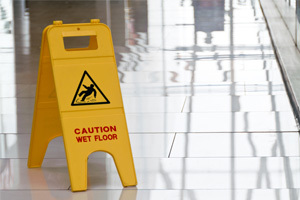 When private managers, temporary contractors, or public municipalities know of a danger but fail to repair the condition causing the slip-and-fall, or fail to warn regarding the dangerous condition, they are liable for any resulting injuries. Contact us online or call (615) 200-1111 to schedule a free consultation.